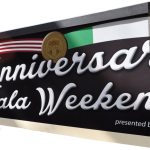 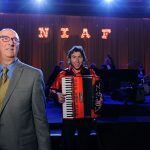 The National Italian American Foundation’s 41st Anniversary Gala proved a weekend-long celebration of Italian and Italian American traditions, connections, music, food and pride. 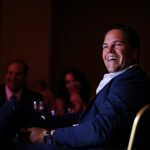 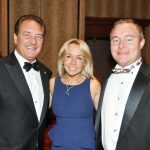 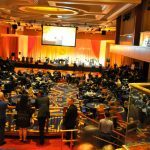 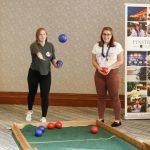 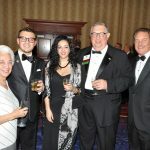 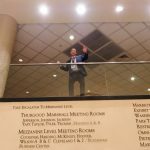 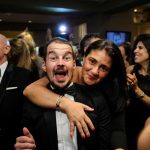 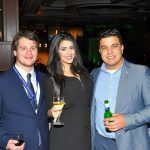 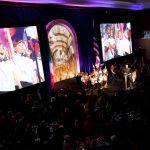 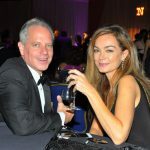 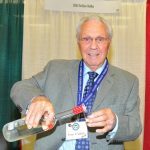 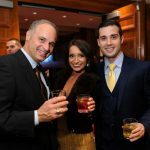 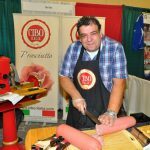 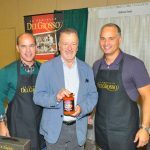 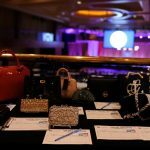 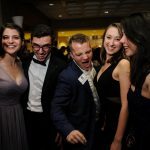 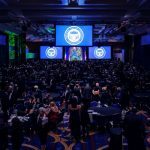 For two days and nights, both Italians and Italian Americans converged at the Washington Marriot Wardman Park Hotel in Washington, D.C., for the nation’s premier Italian American party, this year presented by the Region of Piemonte and Walgreens Boots Alliance. 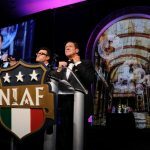 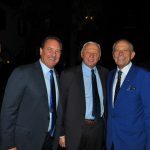 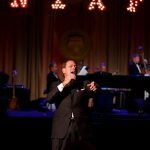 NIAF Celebrity Ambassador, entertainer and radio host Joe Piscopo, along with NIAF President and Chief Operating Officer John M. Viola, co-hosted the black-tie Gala, held on Saturday, October 15, 2016, with a mix of humor, charm and sincerity. 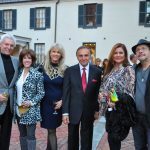 Gala Weekend Chairman Frank Giordano welcomed the evening’s guests, followed by Italy’s Ambassador to the United States Armando Varricchio, expressing gratitude for the more than half a million dollars raised for relief by NIAF and affiliates in the wake of the August 24 earthquake that devastated Central Italy. 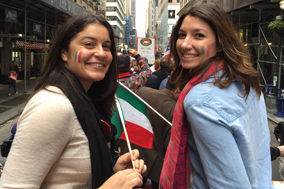 “We [Italians and Italian Americans] know we can count on each other,” said Varricchio. 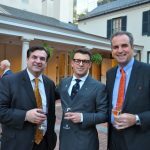 NIAF Board member Paolo Catalfamo and General Counsel Arthur J. Furia introduced the 2016 Region of Honor, Piemonte, which was celebrated in a lushly-shot video paying homage to the area. 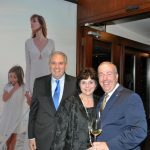 Through the course of the evening, the more than 1,500 guests enjoyed wine and dinner that reflected Piemonte’s worldwide reputation as a culinary and wine lover’s destination. 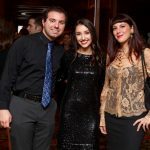 DGDC Photography for digital images and finished prints. 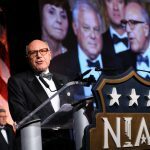 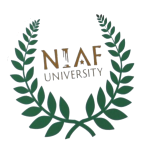 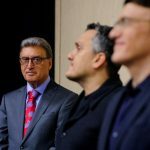 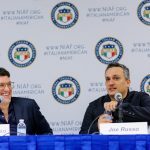 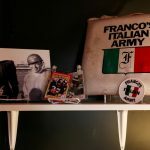 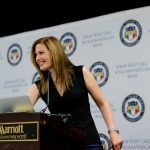 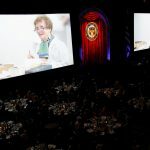 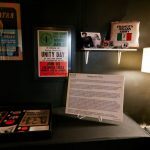 The filmmakers also announced the launch of a new NIAF program, The Russo Brothers Italian American Film Forum, a new grant initiative that will help fund young filmmakers to capture an aspect of the Italian American experience. 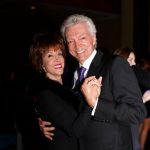 They also introduced an exciting live auction item offering a family of five a visit to the set in Atlanta of the next “Avengers” film, including a private tour of the film set, meeting members of the cast and crew, and VIP access to the directors’ trailer. 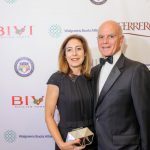 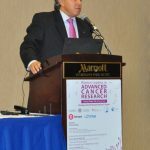 Executive Vice Chairman and Chief Executive officer of Walgreens Boots Alliance, Stefano Pessina, accepted the honor of NIAF’s Special Achievement Award in Business. 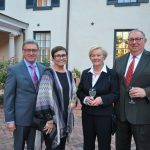 “I feel very pleased to be a very small part of the great contributions Italian Americans have made to this country,” Pessina said. 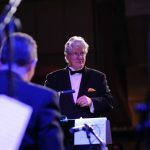 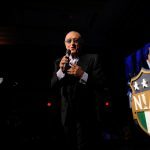 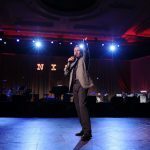 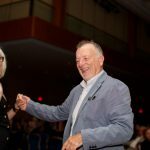 Gala attendees were treated to a special performance by legendary singer and songwriter Tony Renis, who, before singing his classic “Quando, Quando, Quando,” told the crowd that this performance would be his first in public in 20 years. 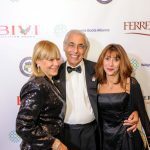 When he learned he would be honored with NIAF’s Lifetime Achievement Award in Entertainment, Renis explained that a friend told him he must attend the Gala because “’The Italian Americans love you.’” His authentic and eccentric character riveted the audience, and his offbeat comments – “Is it [the award statue] made of gold? 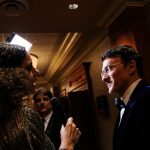 It looks like gold!” – kept everyone laughing. 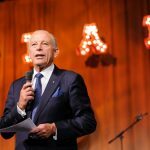 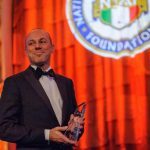 Giuseppe Lavazza, vice chairman of Lavazza, the Italian coffee giant, received NIAF’s Special Achievement Award in International Business. 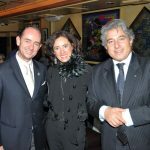 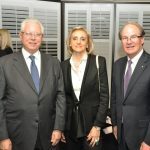 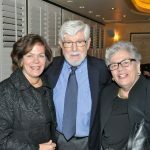 “I feel myself really in a great family,” Lavazza told the crowd, adding that he was grateful to be honored by an organization that has worked for more than 40 years to preserve heritage and culture. 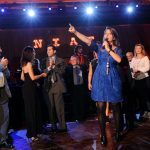 Between honoree speeches, Italian singer and actress Alma Manera performed moving pop opera renditions of “Magnificat,” an extract from theme opera musical “Maria Di Nazareth,” and “A Napule Se Canta Ancora,” by Mino Reitano. 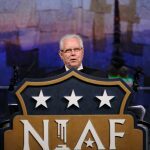 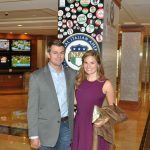 NIAF Vice Chairman Hon. 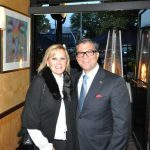 Patricia de Stacy Harrison and Executive Vice President John F. Calvelli introduced a video detailing the Foundation’s Italian American Relief Fund initiative, originally created in the wake of the 2012 Emilia-Romagna earthquake, and now reinstated for the most recent catastrophe in central Italy. 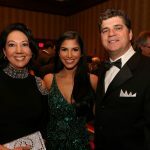 The Fund will remain in place as a resource should any other tragedy strike, Harrison and Calvelli explained. 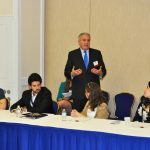 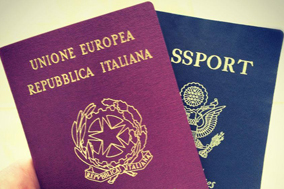 “We now have a support system in place” that connects Italians and Italian Americans. 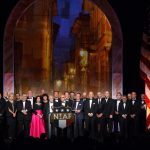 Board members Anita Bevacqua McBride and Dr. John Rosa updated the audience on NIAF’s vigorous scholarship programs that, in 2016, administered 180 scholarships valued at $950,000. 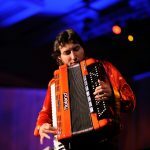 Award winning Jazz accordionist Cory Pesaturo performed at center stage as dinner, Barolo braised beef with oven roasted potatoes and carrots was served. 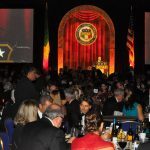 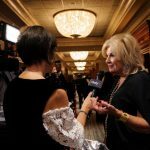 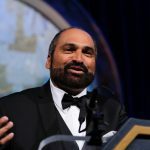 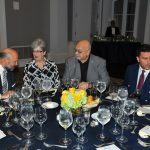 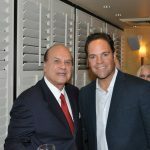 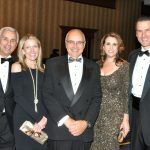 Among the notable gala attendees were actor Sebastian Stan (“Captain America,” “The Winter Soldier”); Congressman Tom Marino; Former Congresswoman Connie Morella; and Lawrence Romo, director of the Selective Service System. 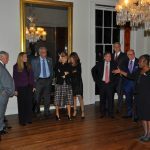 Italian dignitaries in attendance included Ambassador Armando Varricchio; Ambassador Philip Reeker, U.S. Consul General in Milan; Senator Renato Turano, Italian Senate; and Antonella Parigi, head of culture and tourism of the Piemonte Region. 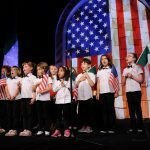 In honor of both countries, the children’s group of Italians in DC performed the Italian and American national anthems. 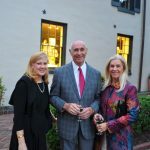 Throughout the dinner, guests enjoyed Barolo wine from the Region of Honor along with antipasto plates and the first dish of Barolo risotto cakes served with eggplant strips. 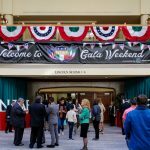 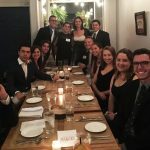 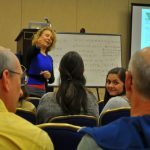 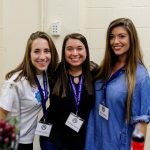 The Gala evening itself was preceded by two days of Italian and Italian American themed dinners, as well as open-to-the-public forums, demonstrations, and lectures. 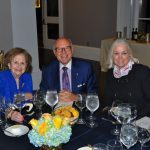 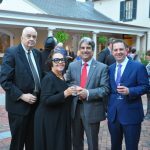 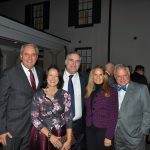 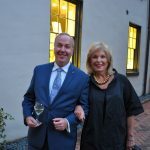 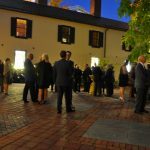 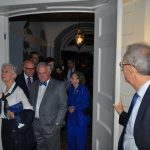 On Thursday evening, NIAF Board and Italian American Leadership Council (IALC) members and Gala VIPs attended a special reception, dinner and tour hosted by the White House Historical Association at historic Decatur House a block from the White House. 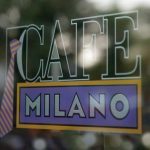 On Friday evening, NIAF Board and IALC members enjoyed another exceptional dinner at Georgetown’s famed Café Milano. 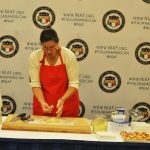 Beginning on Friday morning with “NIAF University,” Gala guests and the public dug deeper into their Italian heritage, attending a pasta making demonstration with cookbook author Domenica Marchetti; a “Gelato 101” class with renowned gelato genius Gianluigi Dellaccio; and a symposium on Women Leaders in Cancer Research, On Saturday, programs featured an “Explore Your Italian Roots” session with PBS’s “Genealogy Roadshow” host Mary Tedesco; a community forum exploring the status of America’s Little Italys; and a blockbuster filmmaking workshop and meet-and-greet with directors Anthony and Joe Russo. 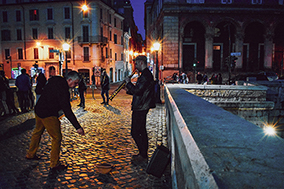 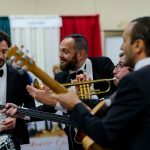 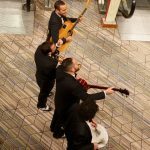 Throughout the weekend’s event, the Italian acoustic quartet Rudy Valentino ei Baleras, “The Italian Swing Style Band,” delighted attendees with their troubadour charm and rock ‘n roll renditions of popular Italian and Italian American songs. 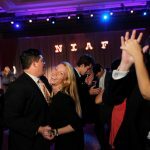 Friday capped off with a Kick-off Celebration full of laughs, cocktails and dancing. 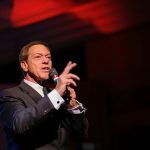 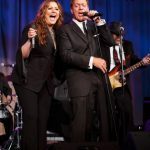 Radio King Orchestra got the party underway, and Joe Piscopo served as Master of Ceremonies and performed some of his Sinatra favorites. 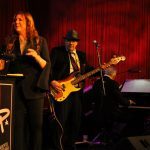 Lena Prima, daughter of the late Louis Prima, and a Vegas and New Orleans institution in her own right, performed swing-style ballads and some of her father’s most beloved hits. 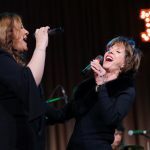 Deena Martin, daughter of the late Dean Martin, joined Prima on stage as the two sang crowd-pleasing duets. 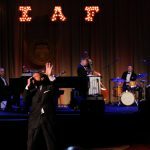 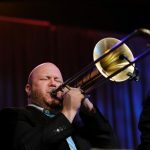 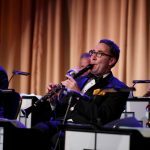 Comedian Joe Matarese performed a set of stand-up comedy, and world champion accordionist Cory Pesaturo took the stage to play jazz-infused numbers. 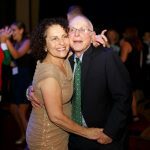 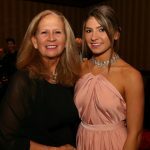 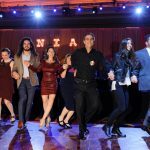 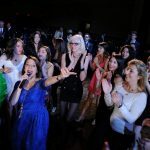 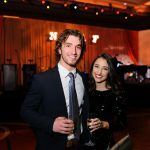 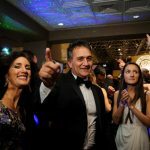 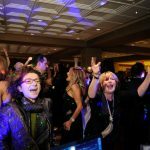 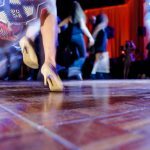 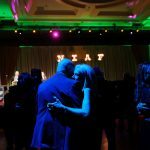 As the hour got late, partygoers crowded the ballroom floor to dance the tarantella, led by Emmy-Award winning host Mickela Mallozzi, of “Bare Feet with Mickela Mallozzi.” It was an evening of tradition infused with spirited and youthful energy. 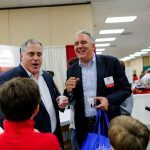 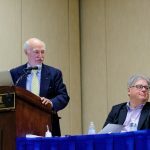 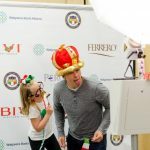 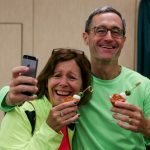 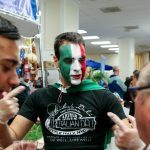 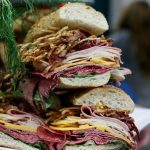 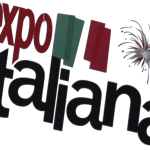 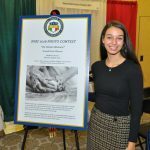 Saturday morning’s Expo Italiana proved a vibrant marketplace and forum for all things Italian and Italian American…and for more than 3,000 guests who were drawn to what has become the largest annual Italian festival in the nation’s capital. 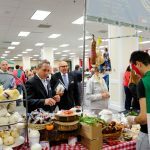 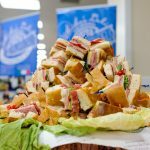 David Greco of Mike’s Deli, the original Arthur Avenue Italian Deli, was on hand to serve complimentary Italian delicacies and whip up fresh mozzarella on site, made with water imported straight from Bronx, N.Y., in order to keep the flavor authentic. 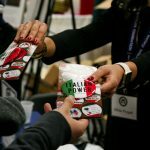 Like last year, he also handed out a free Italian lunch to hundreds of hungry attendees. 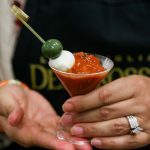 Peroni Nastro Azzurro served samples of Italian beer; Cibo Foods brought in its “Maserati of meat slicers” to provide amazing sliced Italian meats by the plateful; Chazz Palminteri’s BIVI Sicilian Vodka booth gave away shots; La Famiglia DelGrosso created a crowd pleaser with its “Meatball Martinis”; and LaVazza Café doled out fresh, hot espresso throughout the day. 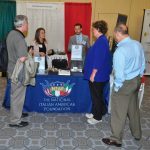 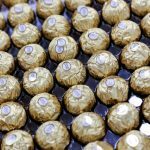 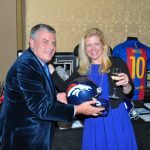 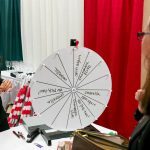 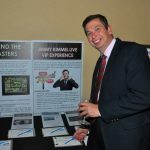 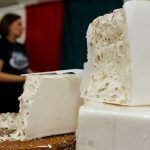 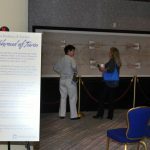 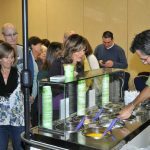 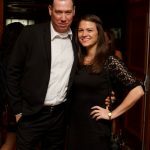 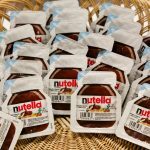 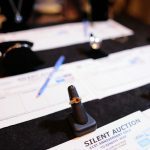 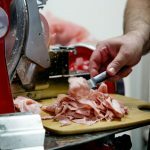 Other vendors in attendance included Dolce Gelato, Alitalia, Ferrero, Maserati of Arlington, and the Region of Piemonte. 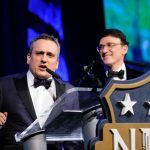 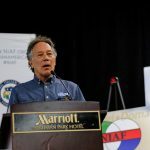 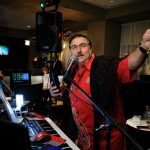 Mallozzi, with musical accompaniment by Pesaturo, once again led tarantellas at Expo Italiana, even convincing NFL Hall of Famer and Gala Honoree Franco Harris to join in! 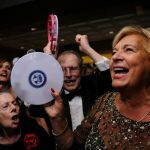 The Marriott Lobby Lounge was once again the scene for the Gala’s famed After Hours Party, where celebrators, equipped with tambourines embossed with the NIAF logo, sang and danced into the morning hours to popular Italian and Italian American classics played by singer and songwriter Ciro Di Lorenzo. 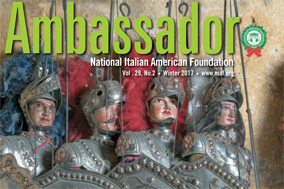 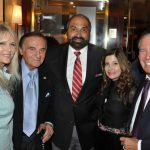 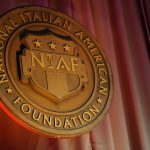 Proceeds from The National Italian American Foundation’s 41st Anniversary Gala will benefit the Foundation’s educational programs.